I’m a strong advocate of paid-for fonts. Generally the quality and execution is better than their free counterparts, you get support if they don’t work as expected, and you also get to support the designers or artists who created them. There are exceptions of course, such as the wonderful Lost Type Co-Op or the iconic League of Moveable Type, both of whom have seen their professional-quality fonts used extensively in print and screen. Deco Neue is another such free offering that deserves a place in your font folder, from the hand of designer Jonatan Xavier. 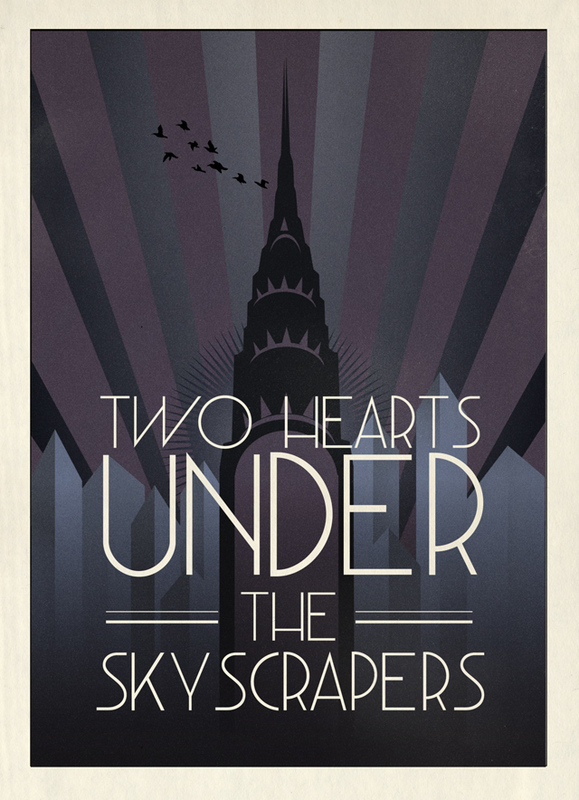 Deco Neue was produced as part of a typography course Jonatan was undertaking, and is a well-balanced, elegant example of the sort of Art Deco typefaces that came to prominence in the late 1920s and early 1930s. 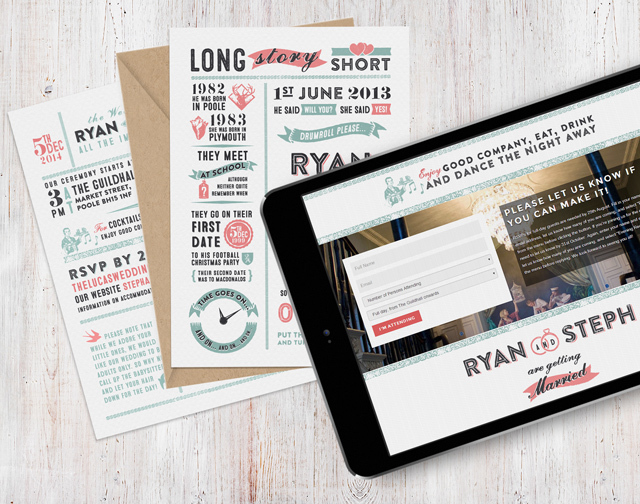 The font is undoubtedly limited in some areas – there are no lower case characters, numerals or punctuation – but as a free offering there is much to recommend it with plenty of scope for use on posters or invitations. The light version of Deco Neue is available to download for free from Jonatan’s Behance portfolio page – all you have to do is give a little tweet to say thanks, and hopefully Jonatan will develop this into a fully-fledged professional typeface before too long! A bit of a sneaky tease on the logo front here, with a quick peek at the branding for the soon-to-launch The Album Mill, a new site that’s sure to be of interest to any photographers out there. 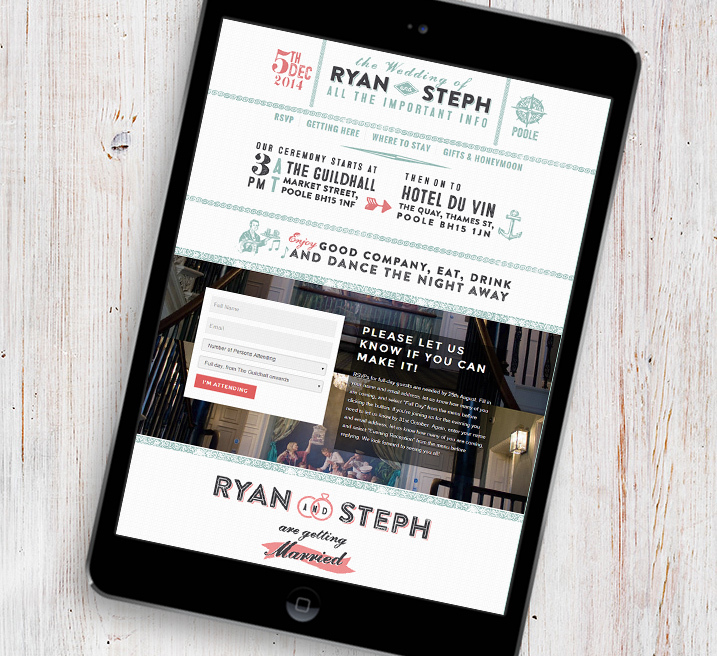 The team still have lots of work to do before the site launches, but if you’re a photographer and you’ve ever found yourself staring blankly at notes about gutters, bleeds and print profiles, an early-bird sign-up to The Album Mill site might be one of the most productive five minutes you’ve spent in a while! Another mini post for you today, with a quick look at the logo work I’ve just completed for Monty’s Vintage Shop, purveyors of period home paraphernalia and vintage one-off pieces. Monty’s are busy at the moment getting geared up for the festive season, but I’m sure they’d welcome a hello on their Facebook page. Alternatively, why not have a good old browse of their wares?. 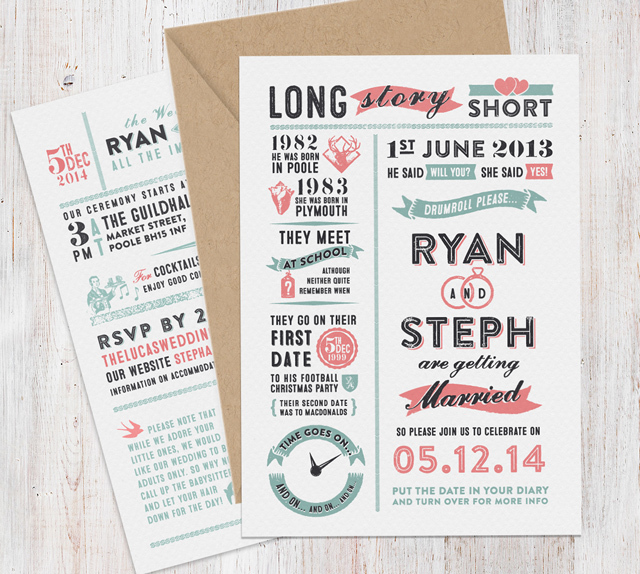 There are heaps of great choices out there for off-the-peg invitations, but sometimes they just don’t quite fit the bill… which is where a bit of Swash and Folding can come in handy! 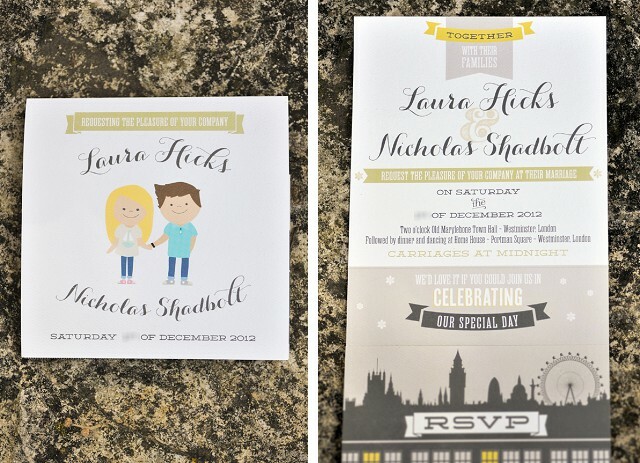 Laura & Nick got in touch after scouring the likes of minted.com and not quite finding what they’d had in mind, either in terms of design or the print quality of the end product. 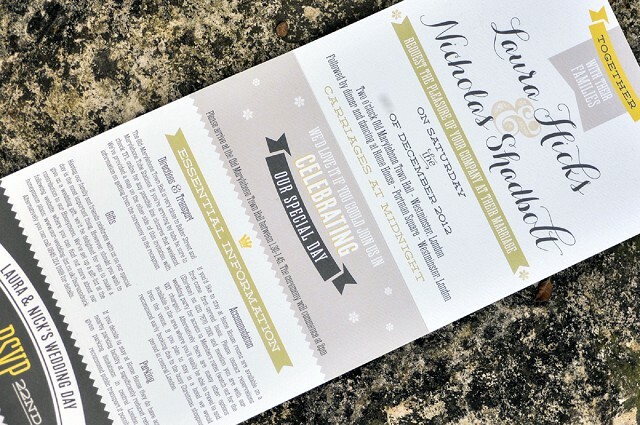 We chatted about the sort of thing they were looking for, and decided on a bespoke set of folding daytime and evening invitations which would be completely unique to their wedding. 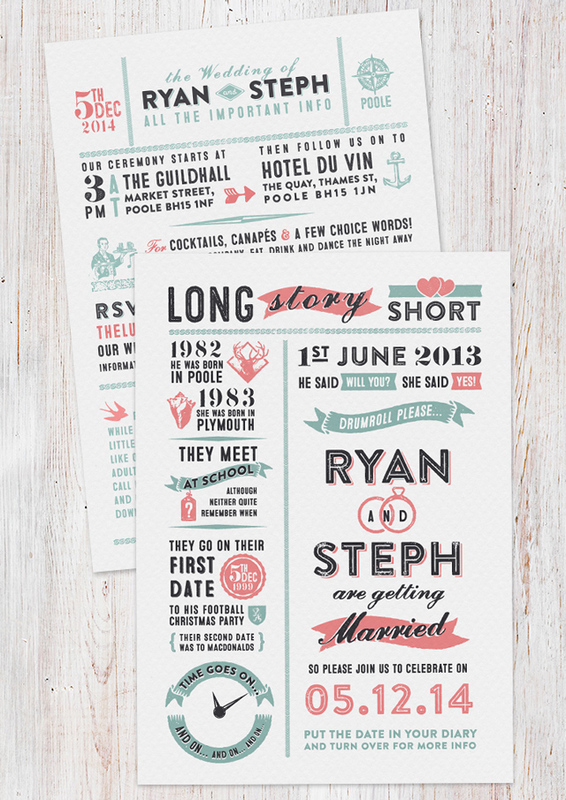 Laura had already got a fairly extensive Pinterest board on the go, which gave a really clear guide about the sort of style they liked: equal parts modern and retro, combining woodblock-style fonts and banners with hand-drawn and line-art elements. The guys also wanted to play off the fact that the wedding is taking place in London, and give a subtle nod to it being a winter wedding. 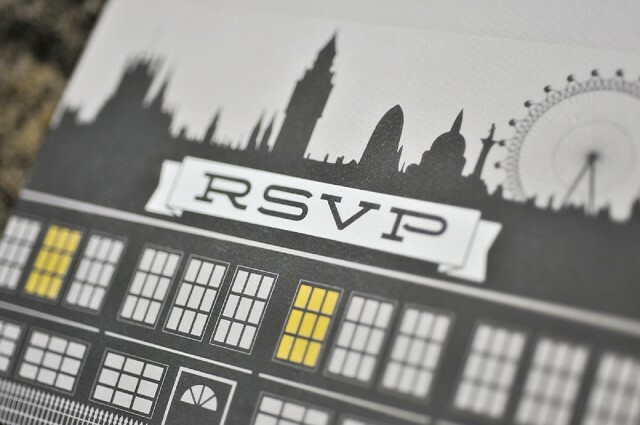 We decided to do two designs – a smaller A6 folding card for evening guests, and a square info-packed gatefold shape for those attending the full day – with both invitations featuring a detachable RSVP section to mail back to Laura & Nick. 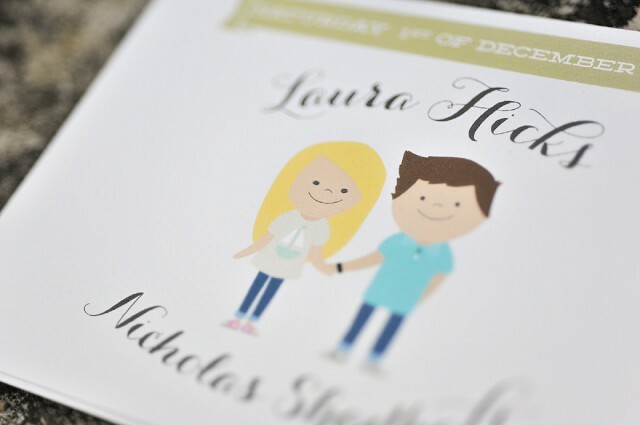 Both designs feature a very cute illustration of Laura and Nick, drawn from reference photos provided by the guys by the skilled hand of illustrator Laura Cake. 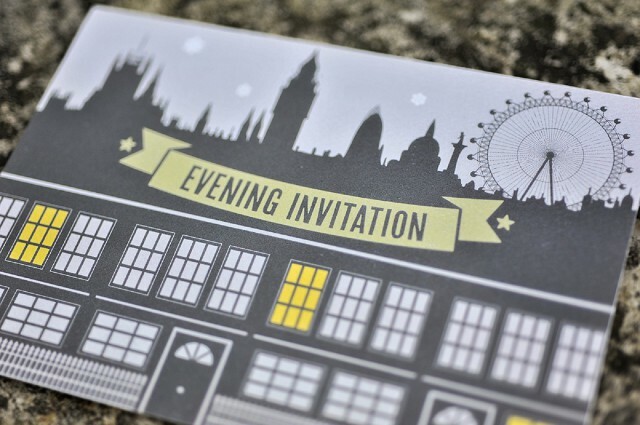 The flipside of the evening invitation has a representation of the reception venue, along with a stylised take on the London skyline. 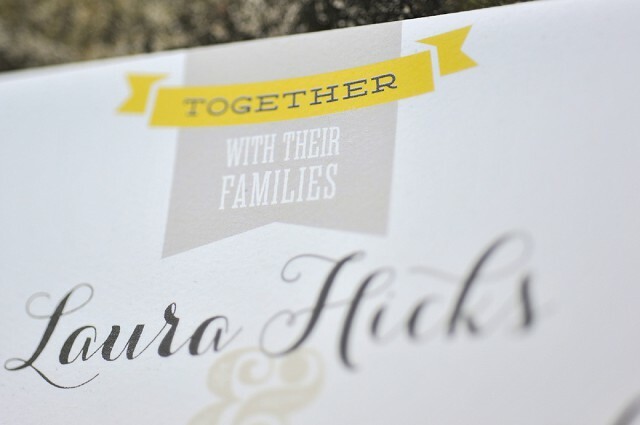 The text treatment combined a mix of serif and san-serif vintage-style woodblock fonts with the sweeping curves of Carolyna, one of the many typefaces from the hand of Emily Lime‘s studio. … flip it open and a wealth of extra information is revealed – all the local knowledge guests attending the day could ever need. 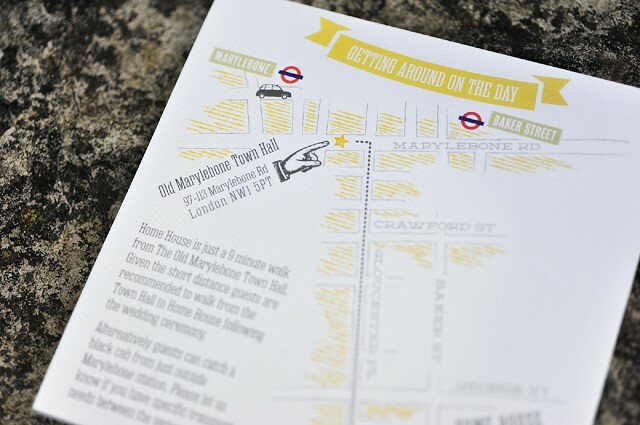 Finally, the full-day invitations also carry a handy map on the back, so there’s no excuse for guests not making it from the ceremony to the reception!